Using voice, cassettes and her laptop “as an old out of tune guitar,” Yuko Nexus6 revels in fusing the ridiculous with the sublime to create songs which cling to the mind like anxious dreams. 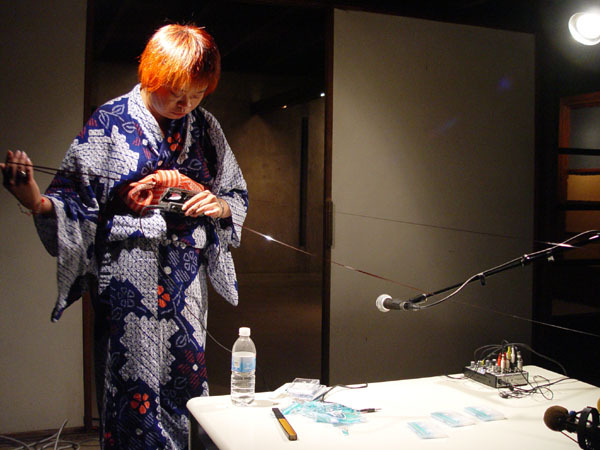 Yuko Nexus6is a prolific and internationally recognized sound artist. 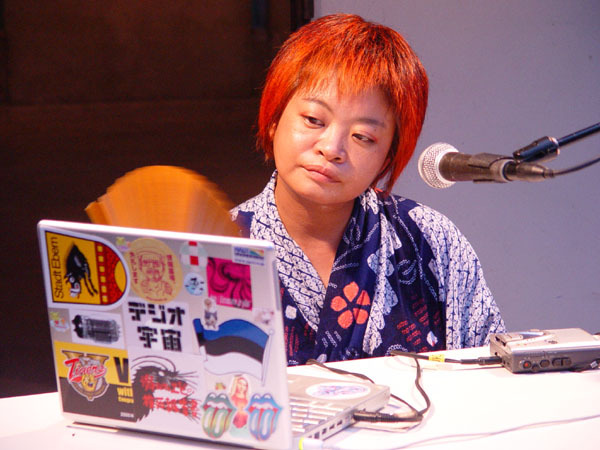 She began composing electronic music in the early 1990’s, performing in both Japan and the United States. 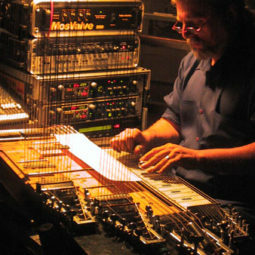 Cheap, simple, and rough sound sources such as TV sounds, blues tunes played by an untrained guitarist, and murmuring voices have also been interweaved into her work. 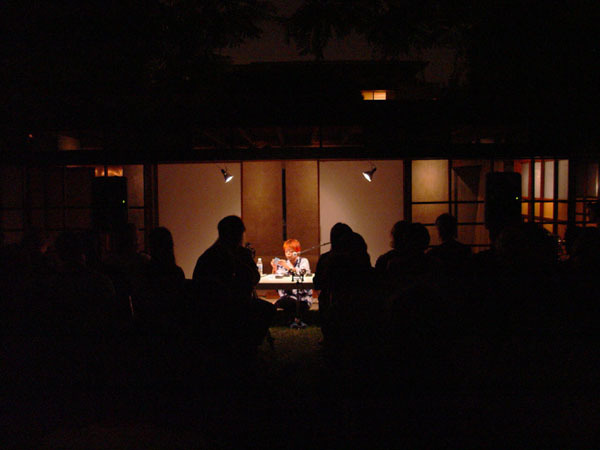 She is the subject of numerous interviews and citations, most recently in David Toop’s historical survey of electronic music, Haunted Weather. 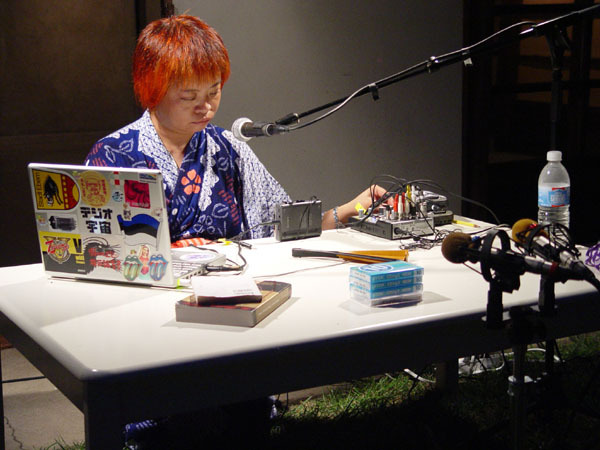 In 2003 she received the Digital Music Honorary Mention in Europe’s prestigious Prix Ars Electronica competition with Journal de Tokyo her third solo album on Sonore. 15 years ago, almost by accident, a sudden change happened in her career when she started making “music”, using a Macintosh placed at her disposal at her job. 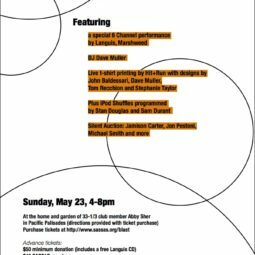 She amused herself by installing a simple music software program in order to personalize her computer – until the day she got fired when her employer found out about her non-productive manipulations! Yuko Nexus6 is a “banpaku-kid”, a child of the Universal Exposition generation of Osaka 1970. This futurist display exhibited in Osaka remains inscribed in her memory as a witness to a future both technological and happy. Psychedelic fashion, exuberant architecture and electronic music offered a vision of the future that was both optimistic and comfortable. Today, these young people, now adults, question this technology that has penetrated the most intimate aspects of their life: where is the happiness, or the radiant joy emanating from the technological promise made 30 years ago? 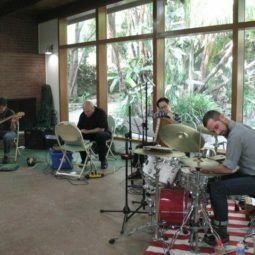 Fortunate disjunctures always permit her to lightly approach such a-priori dense musical concepts as time-based composition and interactive music. During her concerts, she always keeps in mind the idea of the performance. Conscious of the unspectacular dryness of an artist in front of her computer, she is constantly inventing and adding little elements like grains of sand that derail her music towards something alive and astute. Her fifth solo album Nexus6 Song Book was released in August 2005. Singing jazz, folk and traditional standards in Japanese, English and German, Yuko Nexus6 processes her voice using the most high-tech devices as well as the cheapest recording gadgets. Sound-art oriented, Yuko Nexus6’s work is minimalist but full of wit.